Visiting a museum is not top of most people's list of things to do when visiting Sapa, but for those interested in the history of the region and the culture of its inhabitants, the Sapa museum is worth half an hour of your time. 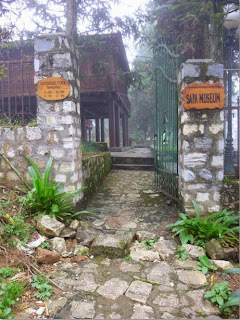 The museum is housed in an attractive stilt house with a static exhibit upstairs which runs uninspiringly through the history of the Sapa region before moving on to some slightly more engaging exhibits about the culture of the ethnic minorities. It's like the Ethnology Museum or Women's Museum in Hanoi, but far smaller and dustier.